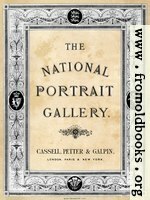 Images from The National Portrait Gallery (c. 1888), published by Cassell, Petter, Galpin & Co., London, Paris and New York, and printed by Maclure & Macdonald, Lithographers, London. 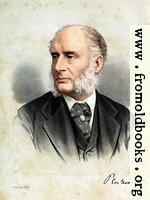 Portrait of Professer Henry Fawcett, M.P. Portrait of Admiral the Hon. H. J. Rous. 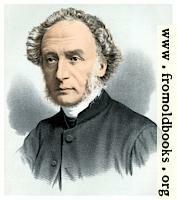 Frontispiece: The Right Hon. Lord Penzance.